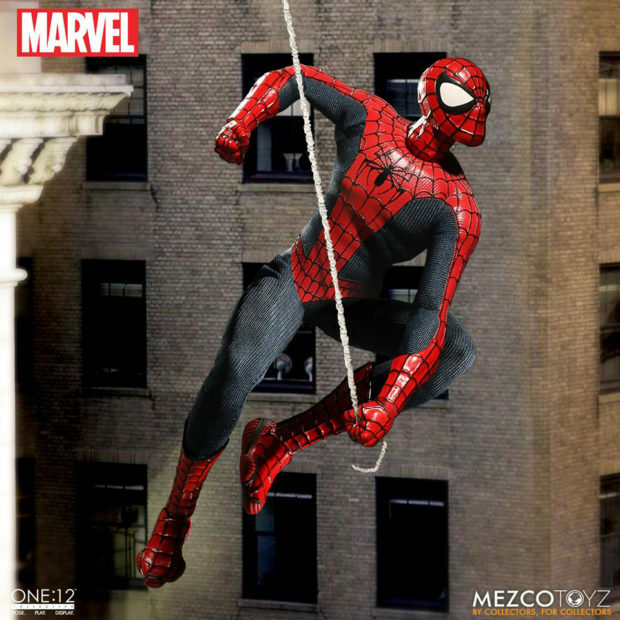 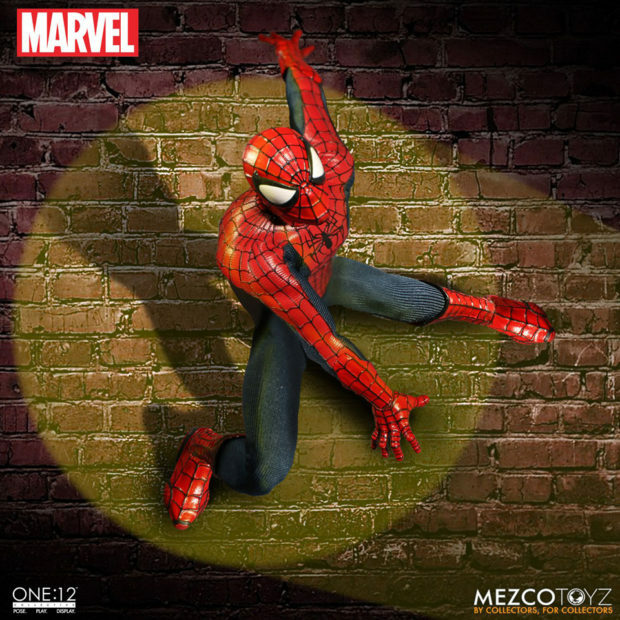 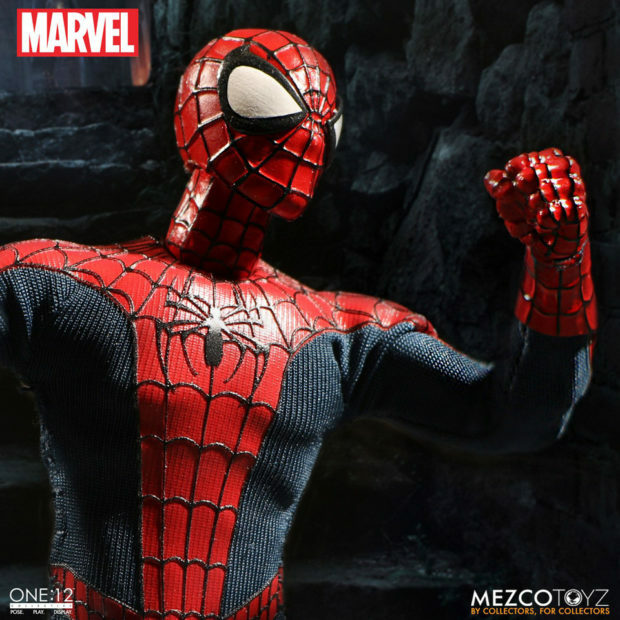 Spidey is the latest superhero to join Mezco Toyz’s retro 1/12 scale action figures. 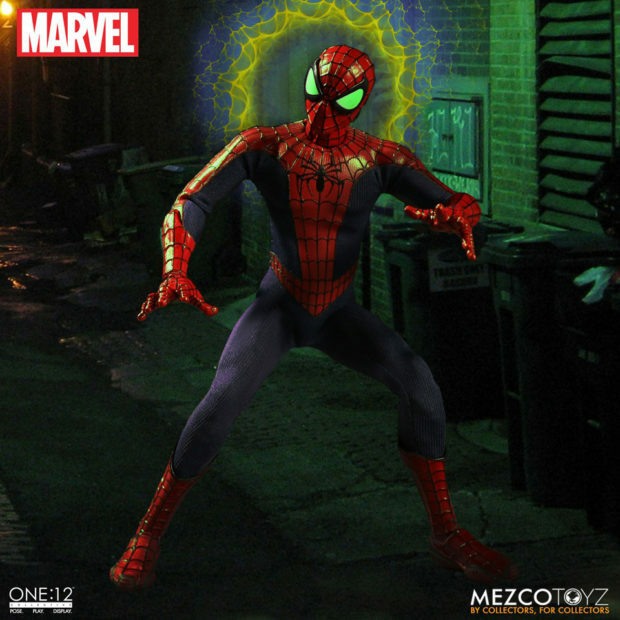 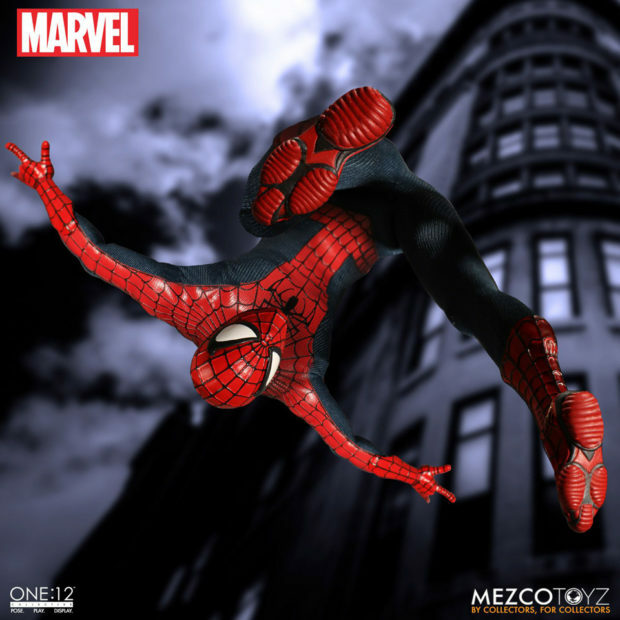 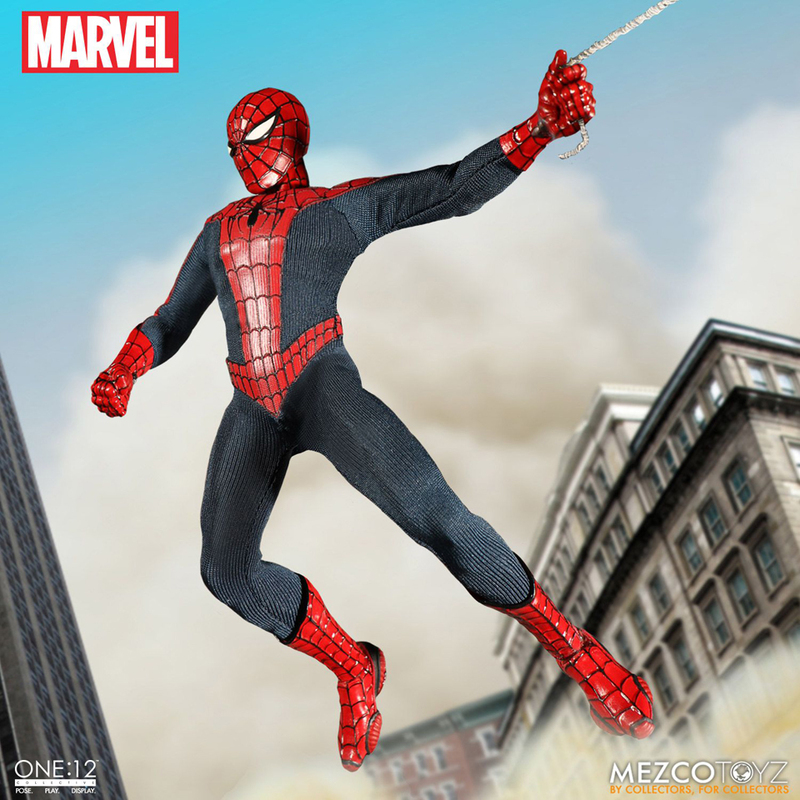 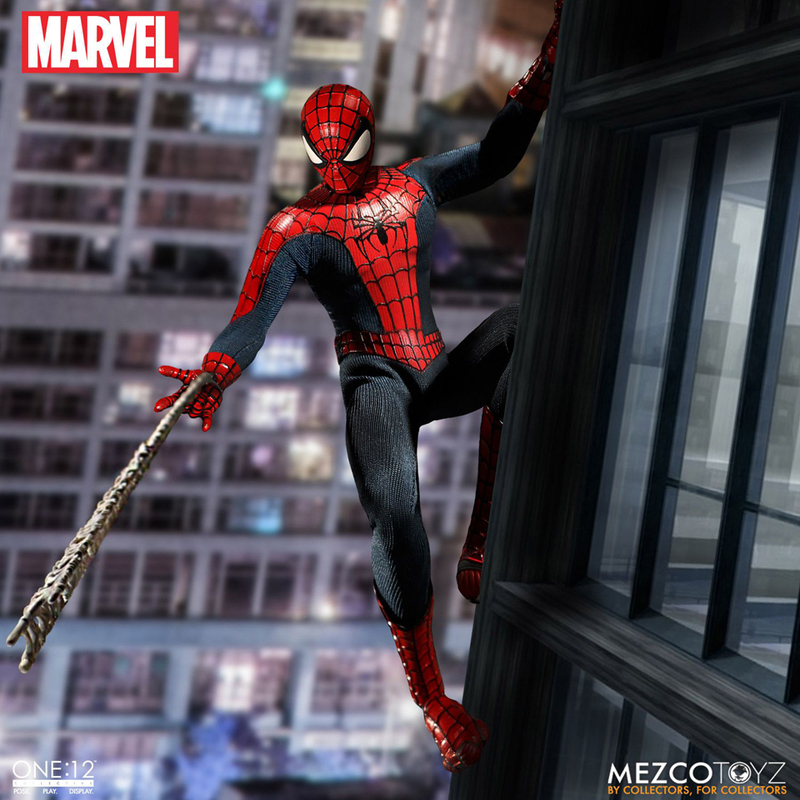 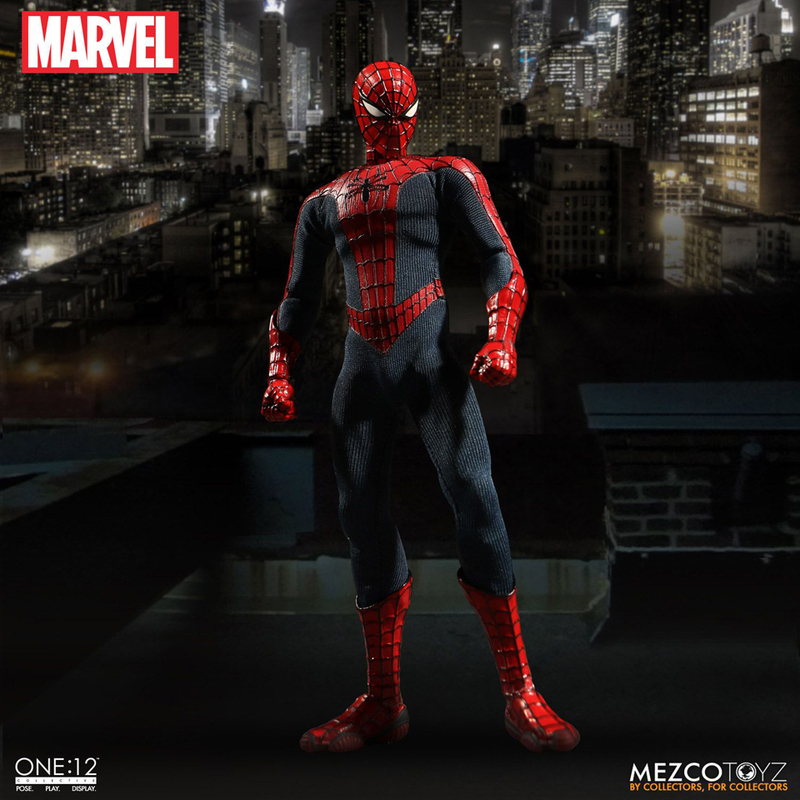 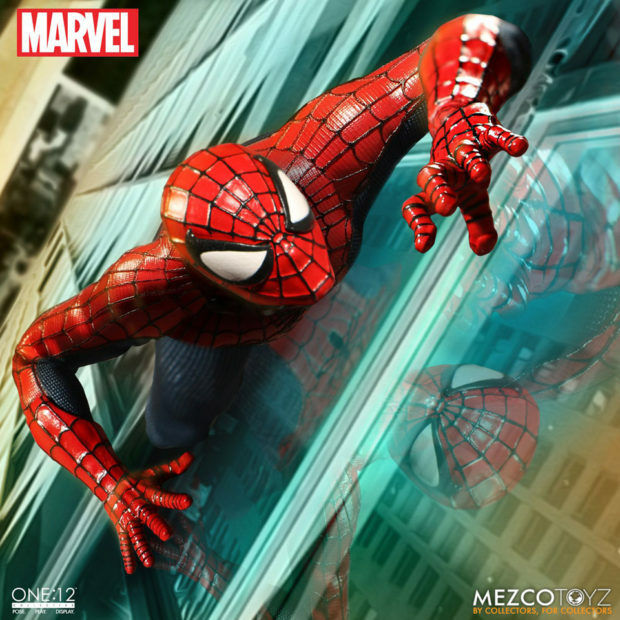 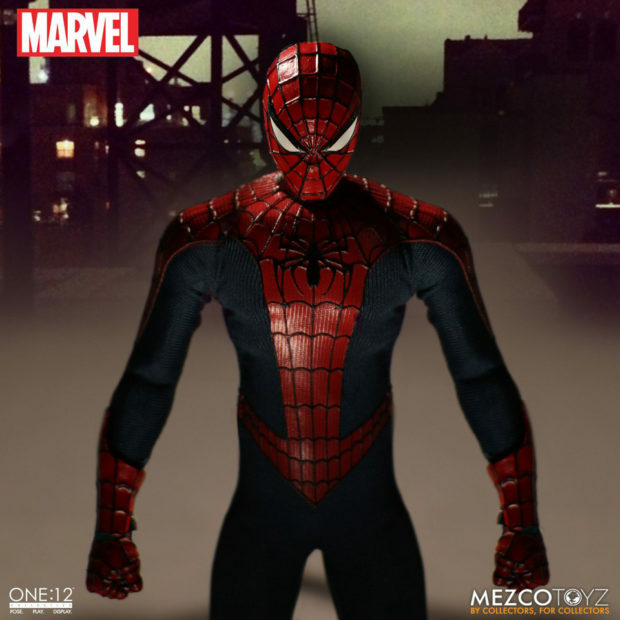 The One:12 Collective Spider-Man figure comes with two heads – one with large eye lenses, and one with small eyes – eight swappable hands, four webline ends and one poseable webline. I’m not too keen on this figure’s proportions – it looks like the heads are a little too big, the torso is a tad small, or both. 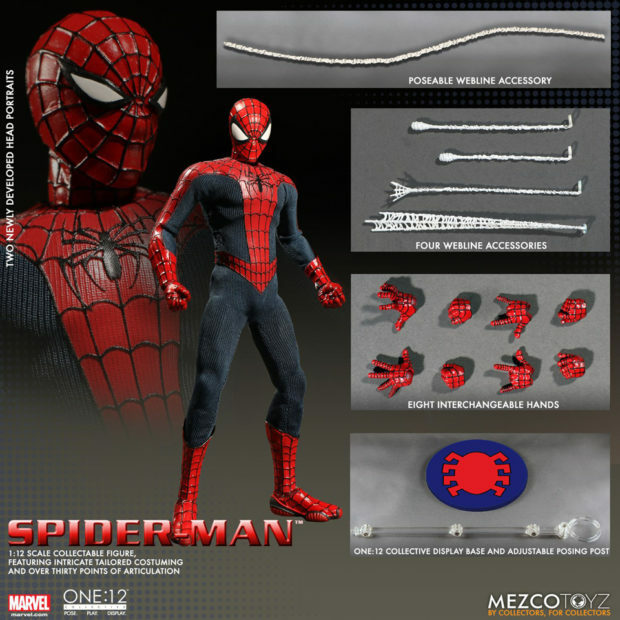 That said, I love its articulation and the accessories that come with it. You can pre-order it now for $80 (USD).